The idea of long–term European dominance is characteristic of most evolutionary theories of human culture and society in the nineteenth century. It was commonly believed that there was a natural progression from Antiquity through Feudalism to Capitalism which could not have taken place elsewhere. Today there are many who still believe that this progression was part of a European miracle that underlay the rise to global supremacy of the West. In this short book Jack Goody systematically dismantles this Eurocentric view of the world. 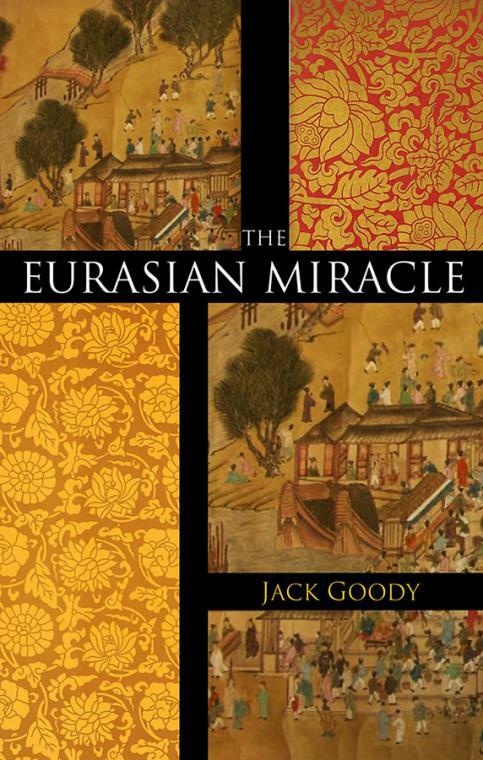 He argues that we need to look, not for a European miracle, but rather for a Eurasian miracle that went back to the Urban Revolution of the Bronze Age, that affected the Near East, India and China well before Europe and that was much advanced by the adoption of writing. Under these conditions we find a long–term exchange of information between East and West, and the dominance of one followed by the dominance of the other – in other words, alternation rather than dominance. There were measures during the Renaissance in Europe that made for continuous growth, especially the secularization of learning, but it appears that the period of Western supremacy is now coming to an end and that we are about to experience a further alternation in favour of the East. "In this brief but rich essay, continuing and amplifying the argument he has presented in The Theft of History and elsewhere, Jack Goody drives one more nail into the coffin of Western ethnocentrism." "The author is a venerable national treasure. In this essay, he demonstrates undiminished powers – revisiting the folly of Eurocentrism, which has been the major theme of his work, and proposing a new way of understanding it."